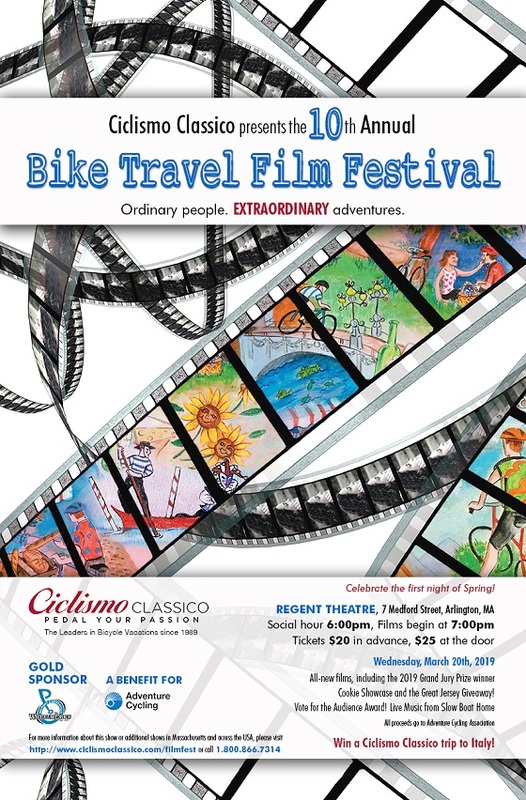 The ONLY film festival in the USA that focuses specifically on bicycle travel! 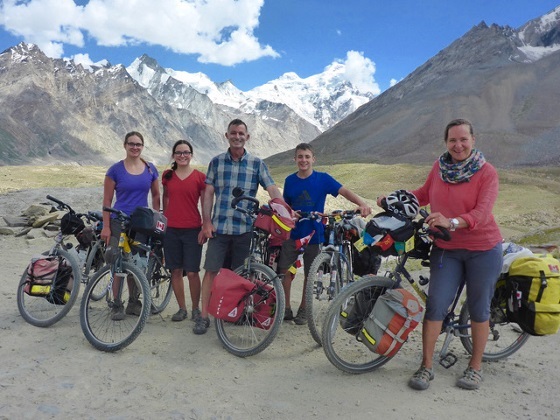 We believe that adventure is for everyone: you don’t have to be a cyclist to enjoy these journeys featuring people young and old, in the USA and abroad! ...to the first night of spring! The price of admission includes a prize drawing ticket and all the cookies you can eat. Win a Ciclismo Classico bicycle vacation to Italy or other great prizes at our amazing and memorable prize drawing! 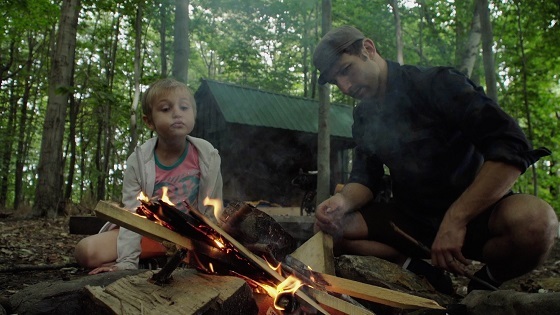 From the frozen streams of the Himalayas to the sultry heat of Thailand, from a father and daughter sharing their first overnight outing to two Boomers finding love on an organized bike tour, there’s over a dozen films with something for everyone at this year’s festival. You don’t need to be a cyclist to enjoy these tales of adventure! Ciclismo Classico, the longtime pioneer in creative bicycle vacations, is proud to present this one-of-a-kind event. The festivals start earlier in the year than usual: by starting on March 20th at the Regent in Arlington, we’ll be celebrating the first night of Spring and the unofficial beginning of the cycling season! One USA premiere of note is Riding Faith - The story of Roei Sadan. American audiences may not be familiar with this extreme adventure athlete, but they will quickly get drawn into this film about his recovery from a life-threatening accident, and his return to cycling. Despite its brevity (9 minutes) it packs an emotional punch and was chosen as the Grand Jury Prize winner for the event. In addition to the 16 fantastic short films on tap, Arlington’s festival features live music from Slow Boat Home, and also the famous Cookie Showcase – an all-cookie buffet featuring the best bakeries of Arlington and beyond. Each attendee will be entered into a drawing to win a trip to Italy with Ciclismo Classico, and there will also be chances to win a beautiful bike jersey as part of our Great Jersey Giveaway. The Festival’s mission is to inspire attendees to explore by bicycle. Whether across the globe or a few towns away, there’s nothing that recharges and expands horizons like bicycle travel. The Festival will increase awareness and appreciation for bicycle travel by showcasing independent films that depict the adventure, humor, and growth inherent in two-wheeled journeys. 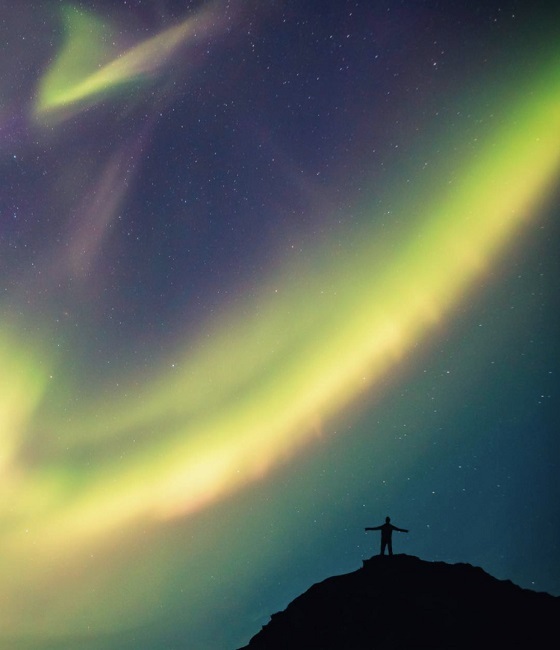 We seek films that portray a broad range of experiences – destinations ranging from small African villages to a campground 30 miles from home; solo travel or a family reunion on bicycles; an organized tour from inn to inn or a shoestring jaunt with tent and sleeping bag. Ours is the ONLY film festival in the USA that focuses specifically on bicycle travel.